This blog will document my attempt at Pinstar’s Legacy Challenge in the Sims 4. The Legacy Challenge asks the player to follow a young, poor, single Sim as they live their life and start a family. The player then follows this Sim’s descendants for 10 generations, observing how their family grows and changes over time. My legacy will follow the Coin family, beginning with my founder, Lillian Coin. As per the Legacy Challenge’s rules, Lillian will move into a large, empty lot with very little money. She will know nobody in her new hometown of Willow Creek and be essentially homeless, as she will lack the funds to build a proper home. 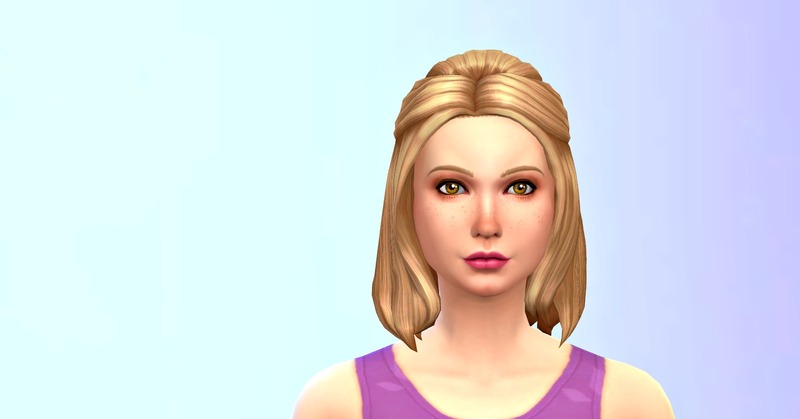 Lillian will attempt to find love and have children, one of whom will eventually earn the title of Heir and become the new focus of the Legacy Challenge. The Legacy Challenge rules allow for players to choose certain parameters, called Succession Laws, which I will list here in case anyone is curious. For the Gender Law, I have chosen Equality, which means offspring of either gender are eligible to become Heir to the legacy. My Bloodline Law is Modern, meaning both adopted and biological children are eligible to become Heir. Finally, my choice for the Heir Law is Democracy, which means I will allow others to select each generation’s Heir. To accomplish this I will post polls here, allowing readers and random internet passersby to vote for their favorite Sims. Lillian is adorable! Looking forward to the start of your Legacy!